One of the most common repair requests we get is related to circuit board damage from lightning or power surges. The answer is: If the power surge did not travel too far into the board or compromise any crucial components, repair may be possible. However, if damage occurred to the circuit board processor, the main brain of the board, the only alternative is to replace the board. Power surges are the silent killer for todays sophisticated pool and spa equipment. Most homeowners do not realize that todays pool equipment like variable speed pumps, heat pumps and new electronic controls can be easily wiped out with power surges. The easy-to-install Intermatic surge protectors are the perfect add-on for your pool equipment. They feature unmatched surge protection ratings and a 3-year, $7,500 connected equipment warranty. 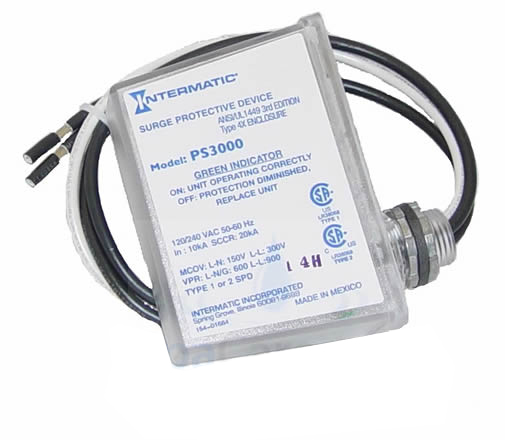 The Intermatic surge protectors are inexpensive insurance that can save your pool equipment from expensive replacement and save your pool from significant downtime. An estimated $250-$500 million dollars a year is lost from property damages caused by power surges. Your new pool pad equipment can cost over $3000 to replace.